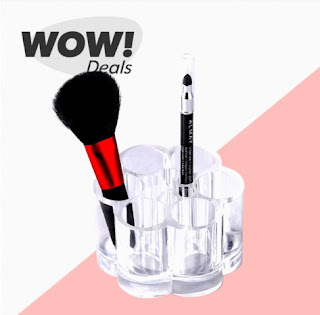 Today Only (7/18), you can score this 9-Comparment Angled Makeup Organizer for JUST $1 when you spend at least $10 at Hollar! 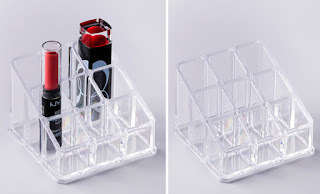 It has convenient compartments for makeup brushes, mascara, and lipstick and is angled so that you can fit both smaller and bigger items without looking cluttered. You can also get a 7-Compartment Flower or a 8-Compartment heart shape that are super cute! Limit 2 per order. Once your cart is $10 or more, Check out! Add more to total $25 to snag FREE Shipping!